I am subscribing for the share capital in a company but I am not a shareholder. Doesn’t make sense. Every announcement this govt has made has been taken back in maximum 1 week. Now per IMF requirements , revenue collections and taxes will need to be increased exponentially. On the bright side tax net expansion and PIA , steel mills privatization may reduce burdens on economy . So there are more projects in Pakistan that nice. Investment is good to have but we must get proper strong ways to collect taxes from people right now the money from MNA's elect don't go for funding infrastructural and education projects. They keep the money for their mega loots. There was no decision to bring a third country, like Saudi Arabia, under the framework of the CPEC. Did he say truth? Isn't it a U-turn? 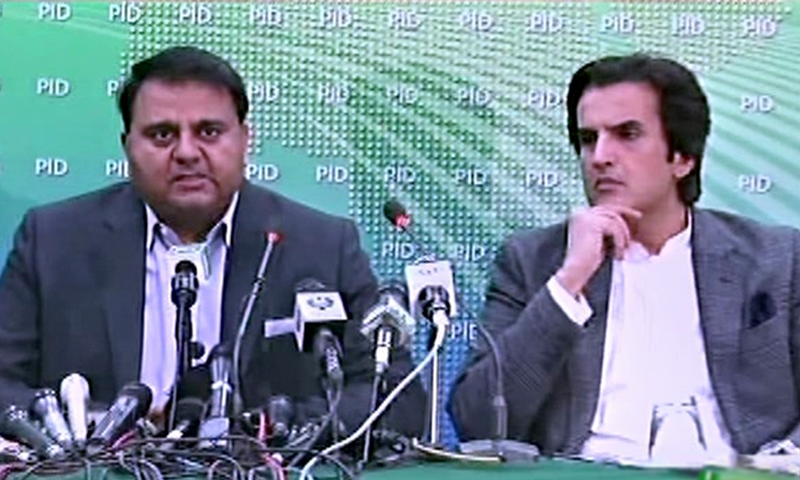 PTI leadership should stop Fawad from media presentations it is damaging PTI credibility! Even S Arabia is wary of joining CPEC. Confused group of leaders, not sure what is the right step. SA involvement is equivalent to USA's involvement. So why did u announce earlier on that Saudi Arabia was coming to join CPEC. @rama It is so nice and caring for our Indian friends and neighbor to be so concerned about the Pakistan economy and it's development. So many controversies in less than two months time does not augur well for the new govt. What is going on with the new government? Why they can you stand what they say! @Omar - "So why did u announce earlier on that Saudi Arabia was coming to join CPEC"
They probably were. But after doing a detailed study of the project agreement they must've realized that it is nothing but a huge white elephant. @Omar Every reason to be .. when your economy tanks that’s when the tensions gets worser along our borders. @Khan Pti never had credibility. It is just PTI supporters who think they have .... We the neutral observers knew that PTI is nothing but another PMLN and PPP with a new name.... They are the same lot... But we will be glad to be proven wrong in future. So only CPEC not SAPEC. Stop blaming past Govt. Time to deliver rather than taking U turns. Please fix CPEC before starting SPEC. So all the billions of dollars for CPEC is for Pakistan.Pakistan need not share with Saudi Arabia or any third country.Once CPEC is completed, Pakistan will be awash in money.Every Pakistani will be rich. Saudi economy is already doing bad and this was nothing but an attempt to drag us into this mess. No Thank you, you can have it all for yourself. @Petrol head you cannot compare ppp pmln with pti as corruption is the biggest element that separates them. Pti needs to learn from its mistakes but they are trying to steer the country in the right direction. The country has been left in absolute mess so would be uphill task. @rama You are spot on. Eight countries presently are under insurmountable debt burden in one belt road road venture. Sri Lanka who could not pay back Chinese loans has leased its port to China for 100 years. Pakistan who is the largest recipient of Chinese loans for CPEC projects is next in line to lose its Gwader port. Saudi Arabia is clever , wants good share of oil related business and nothing else. May be you don't want to make sense, it is really very simple, Saudis are shareholders but the company in question is not CPEC. Self praising time is over! People chose you for a reason to deliver changes not for photo shoots and chatting bubbles! The way things are happening around CPEC , it may become a major reason for conflicts in future between China and Pakistan. There are no permanent friends in this global world , although there are permanent enemies. If we need Pakistan to rise please allow Pakistanis to invest in their country but provide corrupt free culture and revised tax structure so that no one has fear of being looted by the mafias of our country.Please do it fast. @SNB Or China denied other country to be part of it. This present government needs to stop putting out half-baked policy statements. This government need to stop this continous embarrassment on all issues. They claim one thing one day and after few days they completely change the stance. What is wrong with this Government? Why these tall claims when you cannot deliver it? it is my feeling that new administration has been taken for a ride and they got stuck with IMF concerns on loan repayments specially taxes are not regulated across the board. Saudis got the hint that already China is embroiled with CEPEC finance transparency issue with Pakistan last Govt. I suspect we will end up with IMF under lots of economic conditions that we may not be able to bare. This is the result of quick decisions. My humble advice to PTI govt is to not rush and avoid short cuts. Just focus on reducing corruption and collecting tax. There are millions in govt jobs not going at work and getting salaries, fire them and hire new honest people. Focus on technology, empower startups, make contracts with big tech companies like Apple , google etc to have their offshore offices in Pakistan or expand. The only quick way to bring change is by technology. Minister is making virtue out of necessity. CPEC is very much a part of Chinese BRI and no member of the Western alliance will want to be associated with it, for their obvious reasons. Foreign investment may come in different sectors at some point but those investments will not be part of CPEC. Khusro Bakhtiar and Fawad Chaudry.... Same old faces who have been part of PPP, PML-Q, PMLN and now PTI Govt. Is this the change Imran Khan promised us. What happened? Last week it was reported that SA will be joining CPEC? Is China lending money to Pakistan or is investing? Lender does not share the risk of loss but invester does. If CPEC makes loss is China going to share it? Every news is telling us that CPEC is not a game changer. @rama - Thank you for your concern. Modi will join after U-turn! Saudis are not so naive and gullible. They know what CPEC is all about. @R11 I hope you realize that comment was written with sarcasm. Indians know that CPEC, is a chance for Pakistan to develop and have a strong economy, and that frightens them. Pakistani government should be transparent as promised. In plain English Saudi Arabia does not have the "permission" to join CPEC, plain and simple. @rama At least we can wish Pakistan well if nothing. 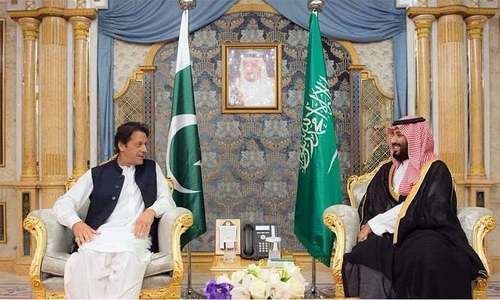 Saudi is smarter than Pakistan, they knew that its china's project and nothing much to gain out of this. Already Saudi has better infrastructure, they don't depend on china for infrastructure. 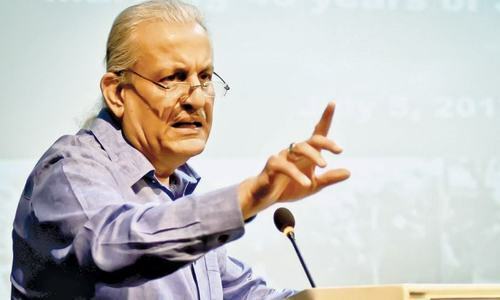 I know they are trying but would urge Mr Fawad and Mr Bakhtiar as ministers to do some more research first and also change their tone when speaking so not to come off as loud mouth. You are in government now so you are meant to listen more instead of back tracking after making a hurried policy decision and not thinking things through and making policy on the run. @Last Word they lost Gwadar at the very beginning. What 9%of revenue means for 30 year? It is even far below than lease value of Lankans port as it overlooked the security cost. Couple of days age Saudi were part of CPEC but not anymore. In the past CPEC was $60 billion but now only $50 billion. Seems all are making fool of public and this is all drama. @rama: Dream on...Indian friend ! @SNB :they never were.It was only on the wish list of some. I didn't expect this backtracking, definitely not from PTI. Hope IK keeps his promise of 1 million jobs. A lot of youth are already frustrated. IK, please keep your promise. Yet a other U-TURN by the "movers and shakers" of the current P.T.I. administration in Islamabad, most of whom are ex PPP, former PM (N) or cronies stemming from General Musharraf regime. Where is the "change" that they promised to the 225 million hardworking but helpless people of the Islamic Republic of Pakistan? Will someone from P.T.I. please stand up and appraise the nation about it? I believe they have no idea how to run the government. They just jumping from one branch to other like jungle monky. Wait what? Is Information Minister and PTI-led government has word vomit or something? Why can't they keep stuff to their own unless they double check and then later on announce. I mean we are dealing with countries here, first with India and now KSA. @Omar Yes, I expect my countrymen to distance from this discussion. But Omar, your countrymen taunted Indians for not getting involved in obor. And advised India not to mess with China during Doclam stand off. So, this is a cycle. @rama Why India is so concern on a "future Fail " project? Your concern make me a firm believer in this project. @Harmony-1© Modi or India will never join CPEC, thats why it is struggling & not making profit. @SNB ,all this was cooked up by the PTI without a word coming out of SA. But I am very happy that SA is not A part of CPEC. The minister has risen to his level of incompetenc. CPEC is golden chance for Pakistan to build the economic infrastructure. Govt has no idea how to develop the nation. It is allways much more costs than you think! @rama CPEC is golden chance for Pakistan to build the economic infrastructure. Govt has no idea how to develop the nation. It is allways much more costs than you think! It seems PTI official don't have decision power,Not a single decision since Imran Khan form govt: in federal stands long lasting. People commenting here don't seem to realize that we are verge of economic melt down. The repercussions could impact day to day life and lead to complete chaos if not controlled properly. I think the non believer big brother U.S would have disciplined the Saudis to not take part in anything that benefits China and the good boy Saudis followed suit..
Keep criticising previous government. Any failure blame it on them. How convenient!! @Sabir Khan "I believe they have no idea how to run the government. " I believe there is no government to run. It is like a car being transported on a truck, and a man is at the steering turning it right left and making sounds from his mouth as running the engine, and occasionally pressing the break, accelerator and changing gears. The other people sitting in the car, are unaware that they are being transported by a truck driver, and are fighting to get the steering. The only thing that the steering man can actually decide, is what music should be played. PTI is a complete disaster. It is a great loss for Saudis arabia! Hope Pakistan is part of this CPEC, all I see is China being the main beneficiary. Pakistan is going on right track. Saudi Arabia and Ukraine should be allowed to join CPEC. PM IK is not so naive to allow KSA to benefit from CPEC at the cost of Pakistan. Good decision. Why make a project so beneficial to the economy so controversial? The terms can be negotiated and renegotiated if necessary. You are investing in a mere branch of the company which has 100's of branches. You mean they were not interested? There is no logic behind not getting out of a bad decision, just because you have spent a lot of time making it. The problem with this new government is that they live for media publicity. So even if other countries leader says something orally, they suddenly come to media and tell it as a final decision. @Pankaj - " If CPEC makes loss is China going to share it?" No, if CPEC makes loss they are going to share Gwadar and other assets. And I don't think there is any scope for "if" required now. @Shakhil Ahmed - "Hope IK keeps his promise of 1 million jobs." Have patience, There will be close to 1 million jobs, albeit of slightly different nature. Both the ministers look confused. This happens when you don't have an elected, but a selected government. Where are PTI lovers? @Last Word : Gawadar is already gone for 30 Yearsw. Now it may go for 99 years lease. Don't know whether CPEC will be a game changer for Pakistan country, but definitely it has changed the game of those Pakistani leaders who signed this agreement. @Omar "@rama It is so nice and caring for our Indian friends and neighbor to be so concerned about the Pakistan economy and it's development. Amir I am sure that by now you are quite aware that "we've got this never ending love for you." Nothing will change in Pakistan..the corrupt elite will continue to roam free. No sane person would like to board sinking ship. Another U-turn?? Is there anyone who is professional in this government? That doesn't really make sense to me... probably because i am from an engineering background. But then even cpec interest rate doesn't make sense either. Although i am an Indian but i firmly believe that a stable self dependent pak is better for both india and pak. I debt ridden pak will only suit predators like china and US. Hope things get better for you guys. Only 70,000 people are direct tax payer earning Rs.200,000 or $2,000 or so per month. Whereas, millions of Pakistanis need to pay taxes to create new Pakistan and country with strong economy where condition of the people can be change with good education, social responsibilities and unity. Saudi Arabia seems have quitted the 'unpredictable' CpEC. I am still a staunch supporter of PM Imran Khan for his honesty and understand he is new leader with limited experience to rule a vast country like Pakistan with so many issues. However, I am also concern that, 'MAYBE' 'JUST MAYBE' somebody from behind IK is calling shots or sending out confusing signals. It reflect cabinet is not coordinating on critical issues and statements. CPEC is great, so is Saudi Arabia and others joining CPEC as investors is positive as partners or under separate bilateral agreement. The bottom line is so far PM Imran Khan's cabinet don't seems to be united and professional. @Chacha "Strengthen the poor people of Pakistan, you will not need Saudia or even China" They can handle China, Saudia or US, or Russia, or even India, but they cannot handle strengthened poor people of Pakistan. They are used to of simple people working for little. Strengthening them means paying them more. Our whole system is based upon poor people paying for everything and getting nothing in return. Strengthening the poor means collapse of the existing system. Do not expect from the beneficiary of a system to pull it down. IK needs to talk to all his supporting staff to act responsibly is public dealings and proclamations. They must avoid saying or doing anything thoughtlessly. Besides embarrassing themselves, they are doing disservice to their office and bringing had name to governance. This behavior of his staff cannot be sustained for too long. This is U- Turn Khan's U-Turn Government...!!! Everything they say just to reverse the decisions the next day! What's going on here is anybody's guess. There are no U turns only fake news given by opposition which have to be clarified. 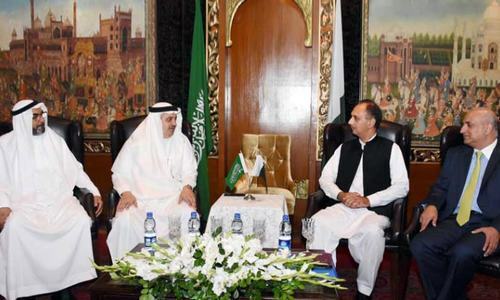 Saudi Arabia is Pakistan's best friend so stop criticising our honoured guests. I have my reservations about BRI as it favors Chinese companies and their exports more than others. However, two projects involving strategic access to indian ocean involving Pakistan and Myanmar are something China can't see failing. With US surrounding south China Sea, China must have these routes. China is sitting on a lot of cash and owns 1 trillion dollars US Treasuries. This is peanuts for such an strategic gains but Pakistan needs to better negotiate the terms if it doesn't see revenues coming with infrastructure spending. It can't be all future cash flow. @Abdul do you have any idea what CPEC is? Its an economic JV between two governments and not Aladins magic lamp where u rub it and gold palaces appear! CPEC financial implications will take a long time in manifesting and most of the benefits will be reaped by china. Read up the project carefully! U -Turn is trade mark of politicians...No U-Turm means no politician !!! these ministers seem to spend more time criticising the previous government for the current situation, rather than finding ways to improve the situation. PTI need to remove this guy from such an important position, he says one thing one day, and then chnages his statement the next. Referring to Fawad Chaudary. Yes, no - That was ignorance at its best! No one seems to know everything because it is all Chinese controlled, already. The future looks bright and Chinese. Right! @rama If what you said is true, then you should be happy that Pakistan is getting in this mess instead of criticizing. But your criticism proves that it is good for Pakistan. Option 1 IMF- no, Option 2 SArabia- no ,now any otion 3 or 4. The SOEs losses Rs 500bn and non-payment of Circular Debt of Rs 1.2trn comes to $ 13.60bn. Add the lost $32bn from low oil prices; the grand total comes to $45.6bn. Even if $25bn of this amount had been saved it would easily meet the present shortfall of $ 12bn.There would be NO need to go to IMF, China and Saudi Arabia. Pakistan can live within its means if only politicians and bureaucrats will allow it. Let me tell you, comments by readers are more interesting than actual news. So many comments. The new government is turning into a joke real quick, but lets give them the benefit of the doubt again its early. Some of the U turns in progress right now though having nothing to do with in experience rather more on a lack of grip on the wheels of government. As an inexperienced government, all in ministry should keep mum, before a thing is finalised. But 3 ministers, IM, FM and FinMin are so big mouths that they can not keep their mouths shut for a while. All three are competing with one another to take credits. They are definitely going to be problems for IK in future. Except Pakistan, rest of the world realize that CpEC could develop into a Pakistan's debt-trap. And I thought I read completely opposite news couple of days back ! Did they sign any document? Seems like there is a lack of coordination/communication between ministries. Brotherly country all of sudden has become a third country. Strange. @M. Emad Doesn't that tell you something? Pakistan people have no idea how much pressure china can give. No govt should make such a U turn like this. Hey these nincompoops didnt know that no other nation can become part of CPEC without massive changes in CPEC laws. I can't stand these lotas. They have zero credibility when criticizing previous governments especially when they themselves were part of the those governments. @SNB But they are investing in projects. Even better. Saudis do not want to invest on Chinese funded projects that are susceptible of being taken over by Chinese for no payment of high interest Chinese loans. I feel that this infrastructure of CPEC will mainly cater to China-Pakistan Trade. @Harmony - you might be correct, and Modi may eventually join CPEC. But India will join only if there are profits in it, and only after studying the details of the profit sharing in this project. Last when they did this analysis, Indian economic advisory termed it as a loss making proposal and hence they said "NO" to China's OBOR project.